At Cooper Studio we handle refund, return and cancellation requests in accordance with the Australian Consumer Law, and also provide additional warranty protection for our printed artwork. All orders are in the form of a contract by offer and acceptance and, in general, are final. In accordance with the law we do not offer refunds, replacements or reductions to your order if you simply change your mind. There is no “cooling off” period. The item has a problem that would have stopped someone from buying it if they had known about it. If a problem is not major, we may repair or replace the item within a reasonable time. 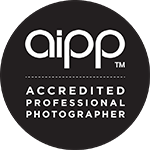 In addition to the consumer protections contained within the Australian Consumer Law, Cooper Studio also guarantees the quality of materials and workmanship of our prints and artwork for a period of five years. In the very unlikely event that there is a problem, we will gladly repair or replace your artwork. Your ArtPay agreement is simply a convenient way to pay for your agreed order over time. Your ArtPay agreement is not a Layby agreement, as you will always be able to receive your order before it is paid in full, in accordance with the details of your particular Artpay form. You may cancel your ArtPay agreement at any time, and make other arrangements to pay for your order, such as cash, credit or debit card or direct bank transfer. Please note that cancellation of an ArtPay agreement does not cancel your order, which will then become due and payable in full. The opportunity to review and reduce the order. An opportunity to review and change the composition of the order. Whether or not the applicant has received all or part of their order or orders. The economic loss we would incur, including costs such as opportunity cost, staff time and materials. Whether there are grounds for extraordinary compassion. Circumstances where an applicant’s consumer priorites have changed: ie they wish to save for a holiday or other consumer goods. A vulnerable person may be a child, a person with a severe mental illness which impairs their judgement, a person with an intellectual disability or acquired brain injury or someone old and frail who has memory loss and/or inability to make complex decisions. At Cooper Studio we will not knowingly enter into a contract with a person who is under 18 years of age or who clearly does not possess legal capacity to make purchase decisions. However we must balance this view with our need not to discriminate in the provision of our services and products. In general we must treat every person who is 18 years of age or older in exactly the same way, giving them the same experience. This includes respecting their ability as adults to make their own purchase decisions. As such, we will not cancel an order simply because a person is a younger adult who is thought naive or who’s values differ from other family members or friends. However if you are the carer of a person who is likely to meet the legal definition of a vulnerable person, and you feel that we have made an error in entering into a contract, you may provide us with written support and we will act in good faith to assess the matter on its merits and to reach a resolution where appropriate.